This option is similar to a regular shoulder strap but with an added safety feature. Worn over the shoulder and across the body—ideal if user is not wearing a belt or does not want anything around the waist. 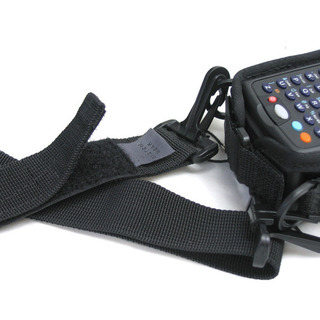 The shoulder strap can be added to any handheld mobile computer or scanner case. Velcro section allows the shoulder strap to tear away under stress.